Sri Narayan-Sarathy is Senior Principal Scientist and member of the PepsiCo Global R&D Fellows program. 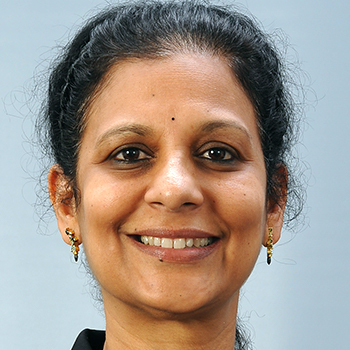 Sri received her Ph.D. in Polymer Science & Engineering from the University of Massachusetts at Amherst. Prior to joining PepsiCo in 2010, Sri was Technology Manager/Principal Scientist for a Big Bet Project at Ashland Performance Materials. Sri’s research interests are in the areas of Materials Science and Chemistry. She is an author of 12 patents and several publications. Sri has an adjunct faculty appointment in the Department of Grain Sciences at Kansas State University since 2015.